Delapre Golf Centre is one of the Premier municipals in the county, designed in the 1970’s by John Jacobs, former captain of the European Ryder Cup Team, the course stands on a historic battleground where the battle of Northampton was fought on 10th July 1460 as part of the War of the Roses. Delapre Golf Centre was taken over by new management back in 2014 and they have made some vast improvements, concentrating predominantly on the Oaks 18 Hole Course which is beautifully set in 260 acres of mature parkland with enough ditches, streams, and bunkers to ensure an enjoyable and challenging round. 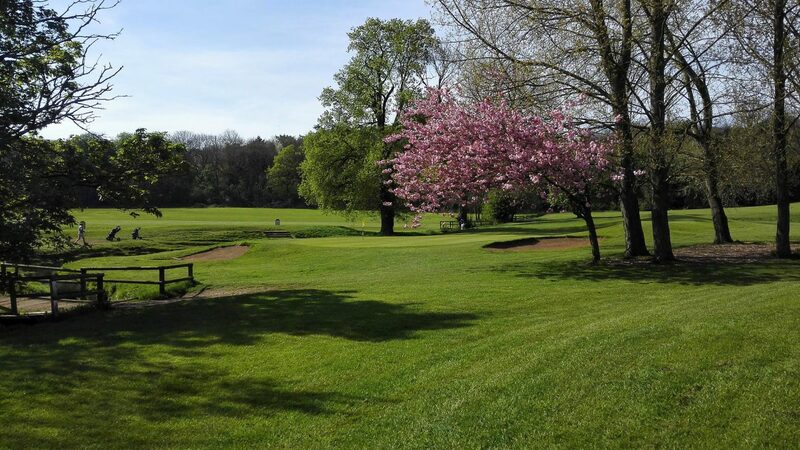 Delapre Golf Centre is the ideal venue for Golf Societies, offering a real challenge where a score of 36 points will often win the day, we can cater for parties as small as 12 right up to 100 players. For large groups we can offer further discount allowing you more money for your prizes. Free Range balls for all societies if required. Early Tee Times from 9am including weekends. Leave the M1 at junction 15, Onto the A45 to the Brackmills Roundabout, Turn left, Past the Marriott Hotel and our gates are right in front of you. From £14 off peak to £23.50 Peak Times. Online discounts available through our website. Marriott Hotel is situated at the end of our drive with other hotels a short distance away. 40-bay flood lit Driving Range, a large Putting Green, Chipping area, FootGolf , Par 3 course, & American Golf Store Plus the Lavazza Coffee Bar open all day serving a selection of Lunches, Speciality Coffees, and the all important bar selling a variety of Lagers & Bitters from Stella to Bass.